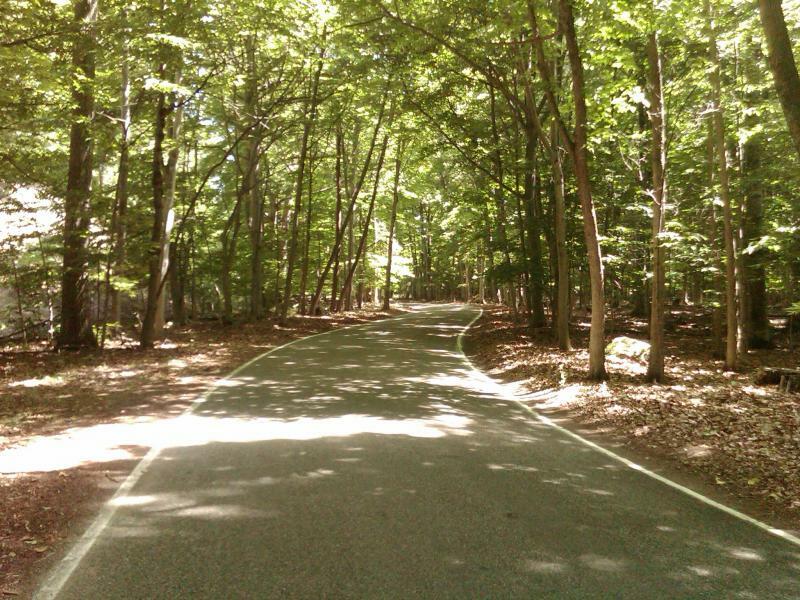 Hardwoods and evergreens press emerald, malachite and viridian leaves and needles up against the road snaking along the edge of Little Traverse Bay between Harbor Springs and Cross Village. Bellworts, violets and wake-robins cover the forest floor, while above the sun disappears for minutes at a time as I drive M-119, the Tunnel of Trees in Northern Michigan. I spent the previous night at the Birchwood Inn, a mile or two from where my parents are buried and now I’m planning to round the top of the Lower Peninsula and arrive at a bed and breakfast in Oscoda off Lake Huron. I’m alone except for a bag full of the books of James Salter; and, of course, I’m sitting at home in Houston, Texas as I write this, imagining a journey I’ve taken and place myself in again. To read Salter’s collection of short stories, Dusk or Last Night, and his novels such as A Sport and a Pastime and Light Years, I should travel the countryside between small towns in Northern Michigan, Upstate New York, or between the villages in France far from Paris or Lyon. Imagined or Real. Another option remains, to put on Bach, Locatelli or Pachelbel, sip an Islay scotch kissed by ice, heat olive oil, cut an onion, and stand amidst the falling afternoon light of the Gulf Coast. 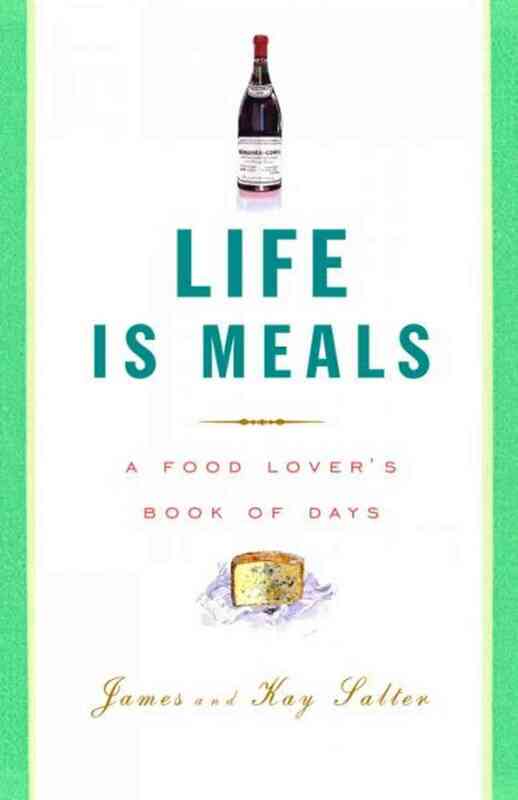 The meal is the essential act of life. It is the habitual ceremony, the long record of marriage, the school for behavior, the prelude to love. Among all peoples and in all times, every significant event in life–be it wedding, triumph, or birth–is marked by a meal or the sharing of food or drink. The meal is the emblem of civilization. What would one know of life as it should be lived or nights as they should be spent apart from meals? 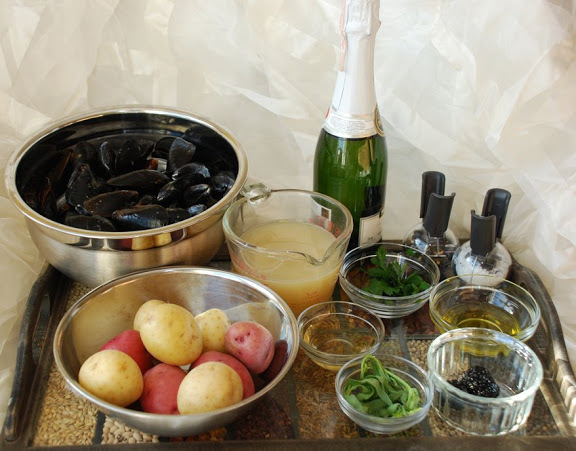 I’ve used the Salters’ recipes for Mussel Soup, Risotto Alla Parmigiana, and a Spaghetti Alla Carbonara. Literature I can eat. 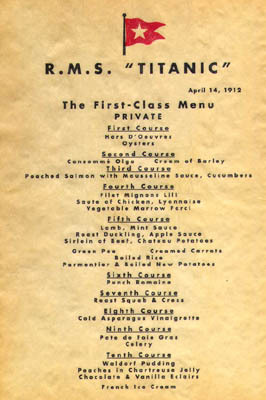 On this night in 1912, passengers in the Titanic’s first-class dining room were served ten elaborate courses, each with a specially selected wine. 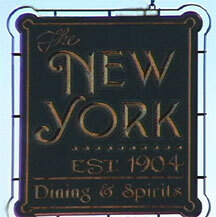 Oysters were followed by soup–consomme or cream of barley–and then a mousse of packed salmon. Next came a choice of filet mignon or chicken Lyonnaise. The fifth course, which included an array of vegetables, was lamb, roast ducking, or beef sirloin. Then a palate-cleansing punch, followed by squab, asparagus vinaigrette, and foie gras. Desert was an array of puddings, peaches, eclairs, and French ice cream. Coffee and port, along with cigars for the gentlemen, concluded the evening’s meal. In today’s prices, those in first class war paying more than $120,000 for the privilege of crossing on the maiden voyage of the luxurious new ocean liner. Late that night, four days out of England, the ship struck an iceberg in the North Atlantic and sank in less than three hours. Of the more than 2,200 people aboard, only about 705 lived to eat another meal. Country dinners, the table dense with glasses, flowers, all the food one can eat, dinners ending in tobacco smoke, a feeling of ease. Leisurely dinners. The conversation never lapses. Their life is special, devout, they prefer to spend time with their children, they have only a few friends. Viri and Nedra, their children, their friends, their dinners. I read, look around at white linen, mirrors, golden light, couples and families dining, and wonder if I’ve created my own life to mirror these sentences. Much goes wrong in Light Years, couples separate, children drift away, time slowly takes its due. What if . . . . In Salter’s short story “Last Night,” a couple goes out to dinner on the night the husband will give a lethal injection to his wife who painfully suffers from cancer. They’ve brought a friend. The waiter was wearing a white apron and black bow tie. He handed them the menu and wine list. –Can I get you something to drink? He was looking at the list, on which the prices war in roughly ascending order. There was a Cheval Blanc for five hundred and seventy-five dollars. –This Cheval Blanc, do you have this? –The 1989, the waiter asked. –Bring us a bottle of that. 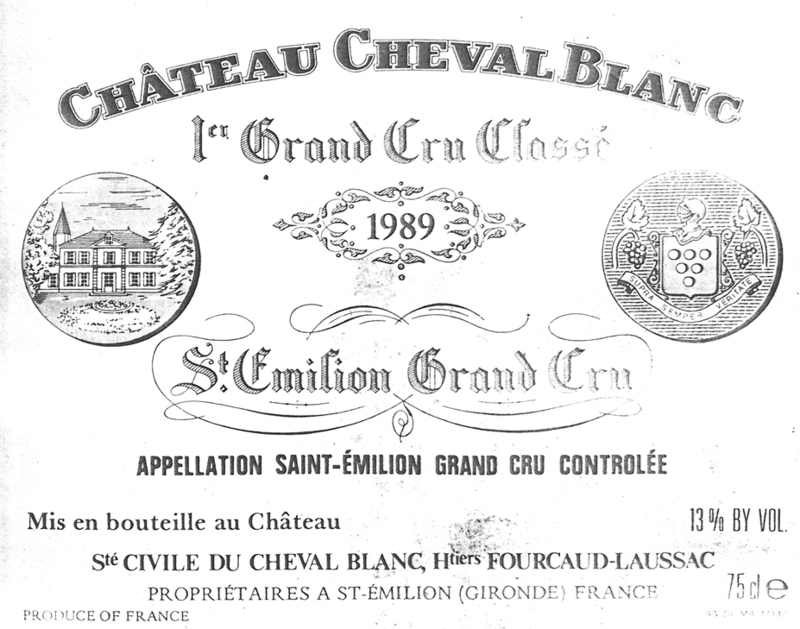 –What is Cheval Blanc? Is it a white? Susanna asked when the waiter had gone. –No, it’s a red, Walter said. –You know, it was very nice of you to join us tonight, Marit said to Susanna. It’s quite a special evening. –We don’t usually order wine this good, she explained. Another sip of Bruichladdich Scottish Barley, perfect as an aperitif, stir the onions, carrots, celery and zucchini. Afternoon light falls further into the branches and green leaves outside my window. 1824. Alexandre Dumas, fils, illegitimate son of the writer and Marie-Catherine Labay, a dressmaker, is born in Paris. Dumas fils, as he was called, was a writer himself, famous for his hugely successful play La Dame aux Camerlais, partly autobiographical and taken from his youthful love affair with Marie Duplessis, a young courtesan. Known in English as Camille, a great favorite of actresses, it was the basis of Verdi’s La traviata. Marie Duplessis died of tuberculosis in 1847, thought the works she inspired continue to live. In another of his plays, Francillon, Dumas fils had a character give the recipe for a salad that was guaranteed to please. Hurriedly copied down by members of the audience, it quickly became popular on restaurant menus in Paris as salde francillon. The original recipe included fresh truffle slices which are omitted here. Light falls further, Gabriela and Demian walk in the house, A Clos du Bois Cab magically uncorks itself, and the meal begins. Previous Previous post: The Past And Future Of Food: Nick Cave, Cotechino Sausage, The Holy League, The Beatles, Soylent, And Nick Cave Again.